Discover the real story of Christmas with Robin and Rosie, as Old Woody tells them about Jesus' birth by assembling a Nativity Crib scene. A lavishly illustrated and engaging book. 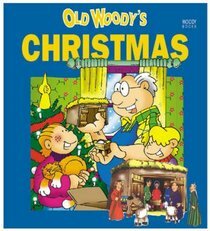 Celebrate Christmas with Old Woody as he tells the story of Christmas.